It is so notable and memorable that Van Morrison dedicated an album to it, so where does tupelo honey come from? Pure tupelo honey is a distinct, light and smooth liquid gold that is so nuanced that some compare it to a fine wine. It is a rare substance that is becoming even more uncommon as beekeepers are able to harvest less and less each year. So Where Does Tupelo Honey Come From? Pure tupelo honey is produced in only three river valleys in the world--the Ogeechee, the Apalachicola, and the Chattahoochee River Basins--all located in northwest Florida and southeast Georgia. Here, during the months of April and May, bees convert the sweet nectar of the tupelo blossoms into a light amber honey. The blossoms burst forth from the white Ogeechee tupelo tree (Nyssa ogeche), which is distributed along the borders of the rivers, swamps and ponds throughout the wetlands of Georgia and Florida. Pure tupelo honey is unlike any other honey in the world. It is a pale amber color with a very slight, green cast. The aroma is described as having notes of pear and hops and the flavor has been described as everything from buttery to floral cotton candy. There is only one grade of honey that warrants the white tupelo classification, and it is one of the most expensive honeys in the world because it is so rare. If a white tupelo honey is mixed with any other type of honey, such as black tupelo, gallberry, or wildflower, it cannot be considered tupelo honey. Likewise, certified tupelo honey is not heated, processed or filtered.One way to be certain that the honey you purchase is pure is to watch whether or not it crystallizes. Top quality tupelo, because of its high fructose content, will not granulate or crystallize. 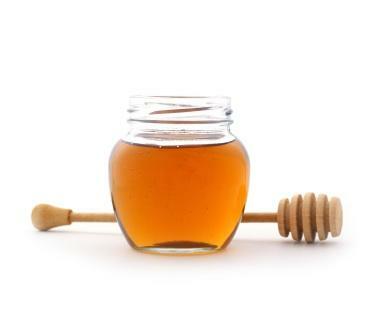 Another grade, called black tupelo honey, is made from the blossoms of the black tupelo gum tree. It produces a darker hued honey that is used in commercial operations and is different than table honey. Because of the brief flowering time for the tupelo tree (only 2-3 weeks) the beekeepers have to be very focused on getting their bee colonies to the trees on time. They do this by housing the bees on remote docks only accessible by swamp boat. Once the bees are in close proximity to the trees, they will go out and collect the nectar from the blossoms and then return to the hive. Once a worker bee returns to the hive he passes its precious bundle to a hive mate who transfers the parcel to a waiting cell. This worker bee then stands over the cell and concentrates the nectar by evaporating excess water. This raises the sugar content from 40 percent to 80 percent. This process thickens and ripens the honey. When ripened, other worker bees cap the storage cell with fresh wax, storing it away for later use. Throughout this process the floral scent in the original nectar is highly concentrated until the viscous substance is deeply impregnated with the original fragrance of the flowers. Honey is one of mankind's most favored victuals. Cave paintings in Spain dating from 7,000 B.C. show the earliest records of beekeepers, and ancient civilizations including the Egyptians, Romans and Mayans regarded honey and honeybees as sacred. They offered the sweet nectar to their gods, and heralded the bee as one of their most powerful icons. During the 18th century, as sugar became the preferred sweetener, the world population of honey makers rapidly declined, but today there are still a few men and women who keep the traditions alive and viable. Rare are those people who are so highly dedicated to their craft that they continue to make honey as their ancestors did for thousands of years.